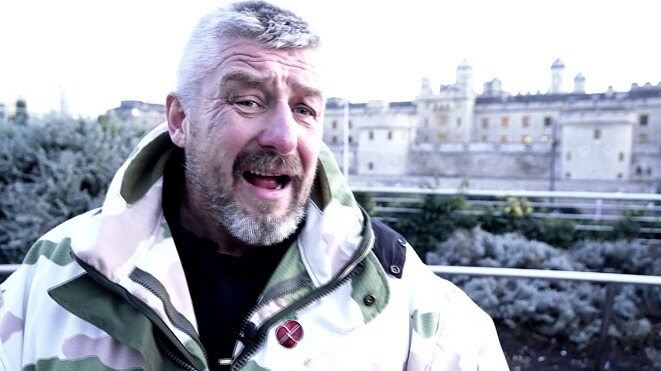 Credit where credit is due as Phoenix Heroes CIC go in search for our many homeless veterans who are consistently being discarded and some even totally ignored by our current system. Due to being judged by their cover rather than by their life circumstances, it takes the smaller specialist charitable organisations such as Phoenix Heroes to take the lead and pick up where the largest of our veterans’ charities fall significantly short of the public's expectations of them. We could moan about the injustice of our current veterans’ support system, (or lack of), 24/7 but that wouldn’t achieve anything in the short-term and certainly wouldn’t help all those currently in need today. Charitable organisations such as Phoenix Heroes are well aware of some of the issues a number of our veterans are struggling to cope with and live with and so they have been proactive and gone out onto the streets to find those who don’t know how to find help, can’t apply for help without someone assisting them throughout the whole bureaucratic process or are so extremely vulnerable due to the complexity of their condition that ‘help’ isn’t even on their daily functioning radar. Phoenix Heroes both understand and are effective communicators towards the vulnerable veterans’ community they endeavour to help, because Phoenix Heroes CIC is a veteran founded, veteran run, veteran supporting non-profit organisation that the Veterans Raffle are both proud and privileged to be associated with and supportive of. If you share our combined passion and also want to help make a difference to the lives of our ex-forces men & women in need then please give joining the Veterans Raffle some serious thought and if you are currently playing a lottery that isn’t supporting a charity you care about or isn’t apportioning a large enough percentage towards charity and prizes combined then again give the Veterans Raffle consideration, because no other lottery in the UK currently comes even close to apportioning the 95% that Veterans Raffle manage!